W&L Seniors Present Piano and Violin Recital The performance is free and open to the public, and no tickets are required. 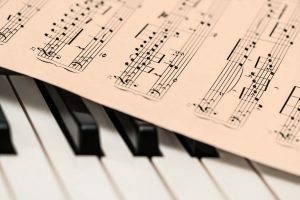 Washington and Lee University seniors Yolanda Yang and Maggie Ma will present their piano and violin combined recital on May 21 from 3 p.m.-6 p.m. in Wilson Concert Hall. The performance is free and open to the public, and no tickets are required. Yang is a politics and psychology major from Tianjin, China. She began studying the piano at the age of six, first on an electric keyboard. “I’m thrilled to have had the chance to take lessons for four years on a real piano in college with Shuko Watanabe, W&L instructor of music,” she said. Ma began violin lessons at the age of four with the Wuhan Conservatory of Music. She was the associate concertmaster of the Maryland Youth Symphony Orchestra and played in Howard County’s High School Gifted and Talented Orchestra, as well as the Junior and Senior Maryland All-State Orchestras as the second violin principal. Ma attended Interlochen Arts Camp in the summer of 2010, where she was a first violinist in the World Youth Symphony Orchestra and studied under Naomi Gjevre. In the summer of 2011, she attended the Brevard Music Festival, where she was a first violinist in the Transylvania Symphony Orchestra and studied under Carolyn Huebl. In high school, she co-founded the String Theory Quartet, which performed for weddings and community engagements. She was the student concertmaster of the University Orchestra at W&L in 2015-16 and is a student of Jaime McArdle, W&L lecturer in music.